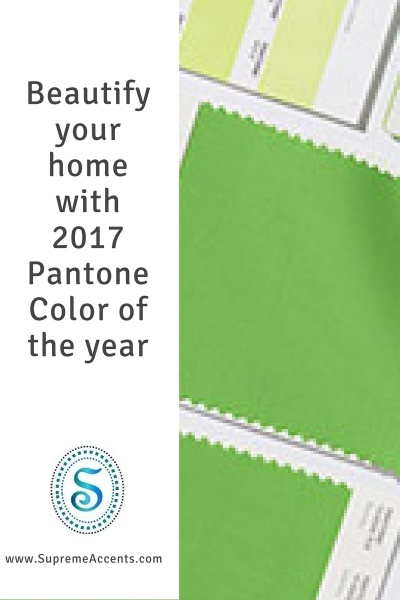 Absolutely love the Pantone Color of the year for 2017 Greenery. I agree whole heartedly. This glorious color is both soft and rich. Greenery blends with almost any color combination including my favorite color red. If you adore green then this beautiful color complements your current color palette. Greenery blends with any of the green currently in your décor. 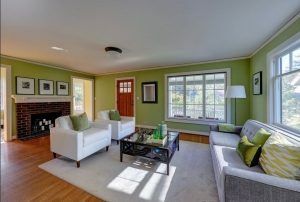 Traditional – One of the most popular home decor styles is a prime candidate for this comfortable and elegant color. The traditional style of warm colors is a great background for this delicious color. Transitional – Greenery beautifully transitions with the clean, neutral colors of this design style. 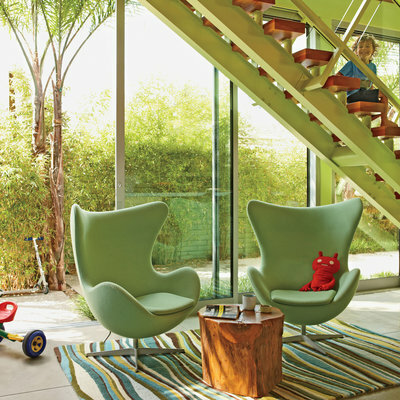 Greenery adds a spark of color without being bossy. Urban Chic – This color works well with the simplistic, minimalistic elements of this décor. In Urban Chic design this color is great as accent pillows and accessories. 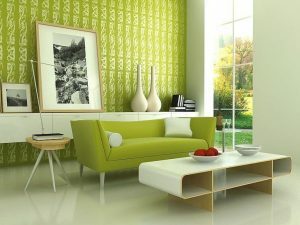 Casual Décor – Greenery is ideal for homey, warm, comfortable, and inviting aura of this Décor Style. What better tone of color to create a truly casual room. Contemporary – Of course this color lends itself to contemporary design. Greenery is the color of right now. Shabby Chic – Greenery is wonderful will with the pastel palettes and sweet patterns of Shabby Chic design. This color is a complement to the light and airy with hues of barely-there blue, green, lilac, or pink. Mid Century Modern – This color also works well with the design elements of Mid Century design. This color blends well with the avocados, oranges, yellows and browns of this design style. Country – Greenery is a great color for blending with the natural tones used in country style. It blends well with the colors of wood, rock and other organic materials. So if you want to include this color with your color scheme or décor it will work out fine. 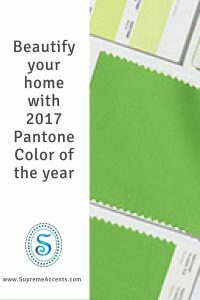 This is a great color for any type of home décor accessories. Accent Pillows, table toppers, quilts and wall hangings. Adding this color to your home will add beauty and grace. P.S. Greenery is a great color for the nursery too.